The Danish interior magazine, Bolig Magasinet, chose Kristina as "Artist of the month" for their September issue. 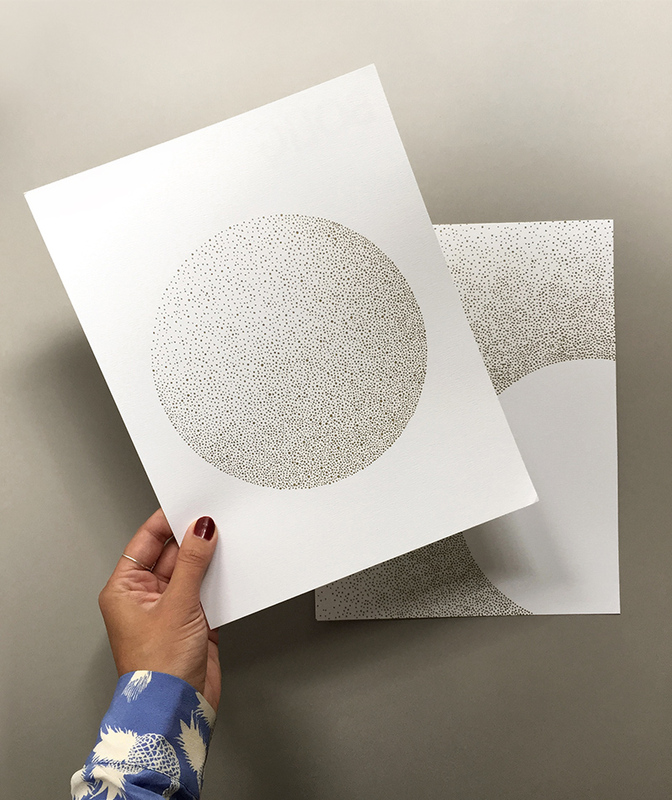 She created these two illustrations with golden dots (A4 size) printed on thick uncoated white paper. The artworks were packed together with their September issue of the magazine, which also included a full page interview. During 2014 Kristina was asked by the two founders of Stilleben in Copenhagen, Ditte Reckweg and Jelena Schou Nordentoft, to create an art print especially for their store. 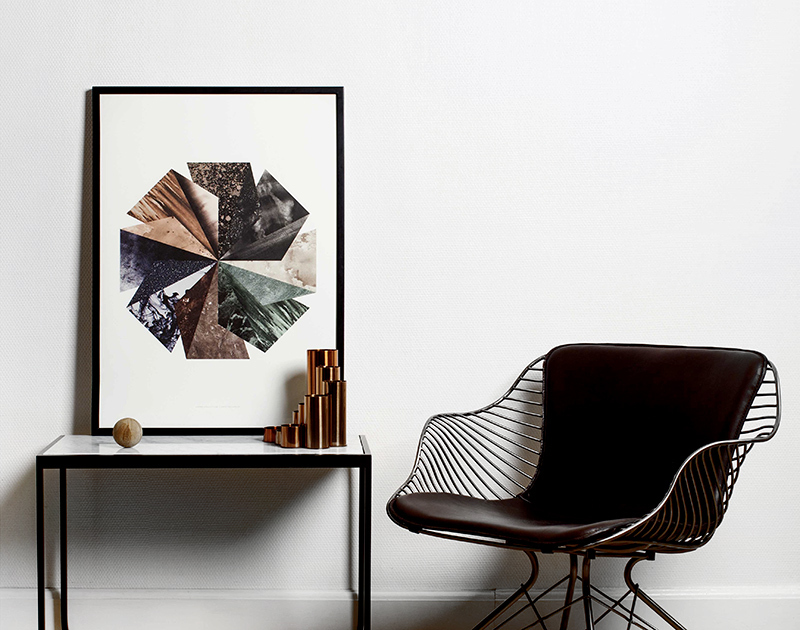 She created this art deco inspired art print with the title "Seasons" for their store in Copenhagen. 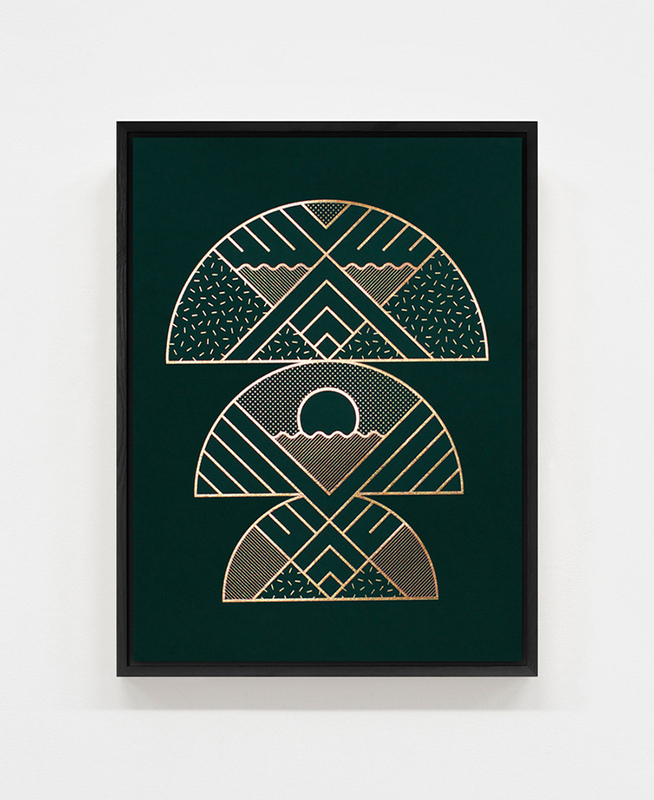 The art prints was hot foil printed with shiny gold metallic foil on two shades of green heavy art paper. One in dark green and another one in olive green. These art prints was made in signed and numbered limited editions of only 50 pieces – and were only available for purchase in Stilleben. 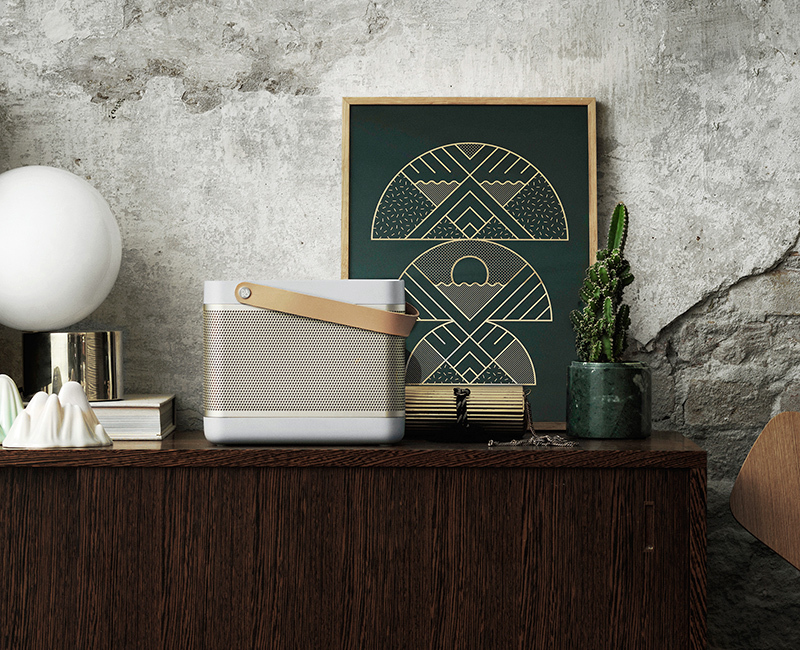 In 2013 Kristina was asked by the founder of ferm LIVING, Trine Andersen, to create four artworks especially for their brand. She created these four graphic wooden collages printed on 13 mm birch plywood. 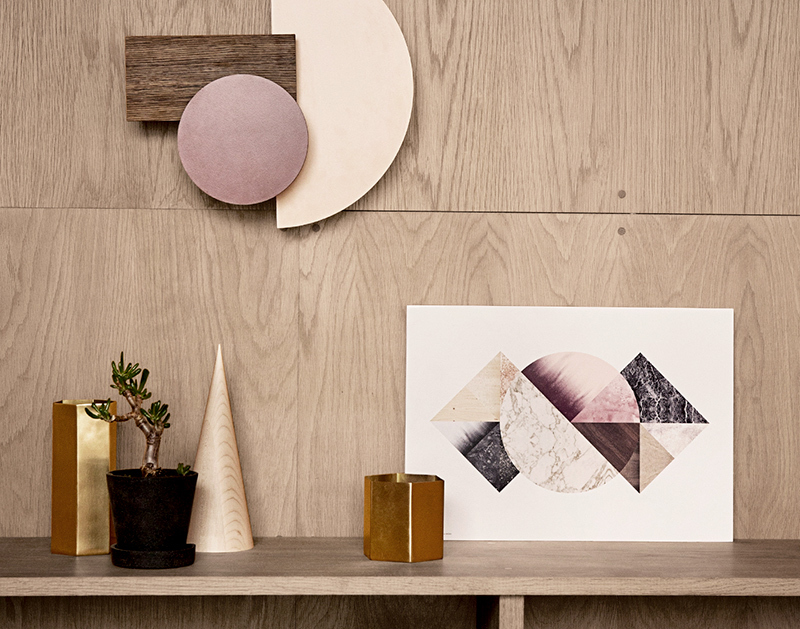 These wooden illustrations are available for purchase on ferm LIVING's webshop. 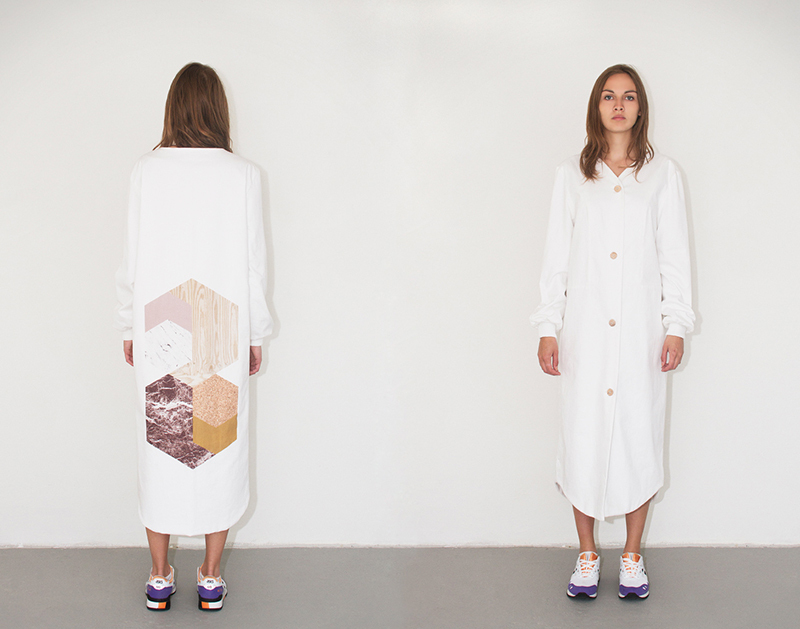 The fashion designer Anna Lund Mortensen, who now owns the fashion brand COLO Clothing, used some of Kristina artworks for her graduation project in Fashion Design at the Fashion Design Academy in Copenhagen in 2013. In 2014 Kristina was asked by the Danish brand Paper Collective to create an art print for their first collection. She created this collage with the name 'Move'. The collage is made ​​from elements of nature creating dynamism and movement with its symmetrical composition and color combination. The art print is available for purchase on Paper Collective's webshop.